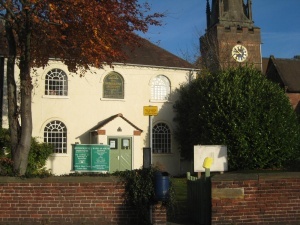 We have a well equipped office adjacent to St Benedict’s Church in Church Road on the ground floor of the Wombourne Institute. Our Parish Administrator, Maxine Banner, should be your first point of call for all church related enquiries. The office is open Monday to Friday from 9.30am- 12.00 noon. Please contact Maxine via the Contact Form or at the address below.